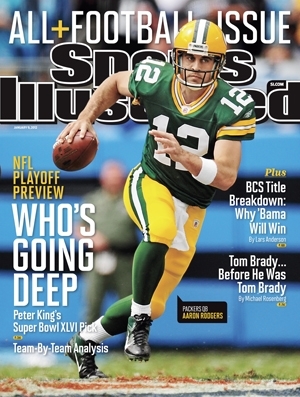 Packers QB Aaron Rodgers is featured on the cover of this week’s Sports Illustrated, with an extensive profile inside the magazine, which hits newsstands Wednesday. The story discusses Rodgers on and off the field and how he goes about constantly working to improve his game, among other topics. For an overview, click here. A companion piece also lists five things SI senior writer Greg Bishop learned about Rodgers in working on the story. To read that and a few quotes from the story, click here. 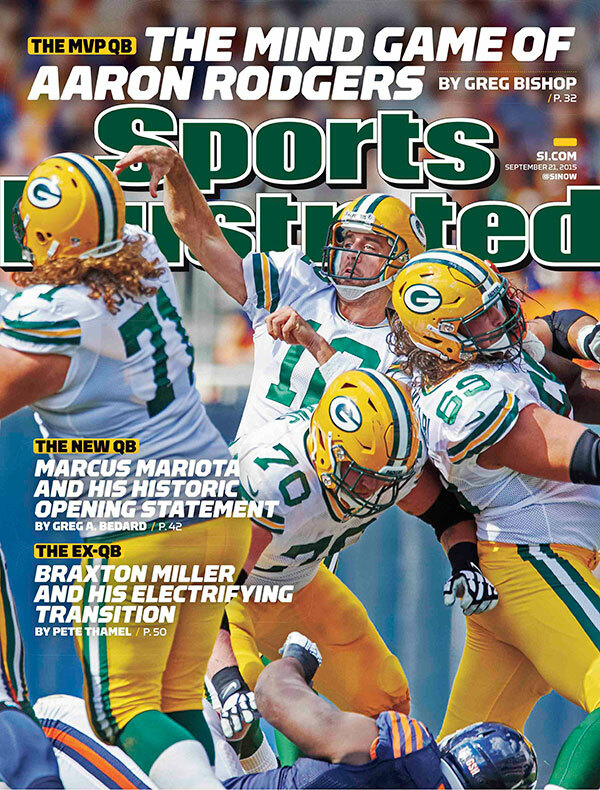 The annual Sports Illustrated NFL Preview issue has picked the Packers to defeat the Broncos in Super Bowl XLVII. SI senior writer Peter King made the prediction for the magazine. King correctly predicted two years ago that the Packers and Steelers would meet in the Super Bowl, but he had the Steelers winning. King has the Packers taking a similar path to the title this year. He has Green Bay finishing 11-5 and earning an NFC wild-card playoff berth and No. 5 seed, with the Bears winning the NFC North title on a tiebreaker. Then he has the Packers defeating the Cowboys and Bears on the road in the first two rounds of the playoffs before hosting the No. 6 seed Saints in the NFC title game, with Green Bay prevailing. The predictions also include Packers QB Aaron Rodgers winning Offensive Player of the Year, and Broncos QB Peyton Manning winning league MVP. SI’s NFL Preview issue hits newsstands this week.